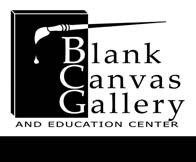 Blank Canvas Gallery and Education Center in Park Rapids, a nonprofit organization, is offering Art at the Museum – a Creative Art Camp for Home Schooled Kids, Ages 6 – 12, on May 24th & 26th. Class time each day is from 10 am to 2:30 pm. The two-day art camp will be held at the Nemeth Art Center, 301 Court Ave. in Park Rapids. The permanent collection at the Nemeth Art Center and special high school art exhibit on display there will be the inspiration for creative art during this camp. Students will be introduced to the elements of art utilizing the permanent collection and elements from the student art show. Printmaking and wire sculpture will be the primary instructional experiences. Students will create two- and three-dimensional projects, critique their own work and select works for the youth art show to be held in July. This activity is funded in whole or in part by a Region 2 Arts Council Grant through an appropriation by the MN State Legislature Arts and Cultural Heritage Fund passed by Minnesota voters on November 4th, 2008. Class size is limited – Registration deadline is May 20th.